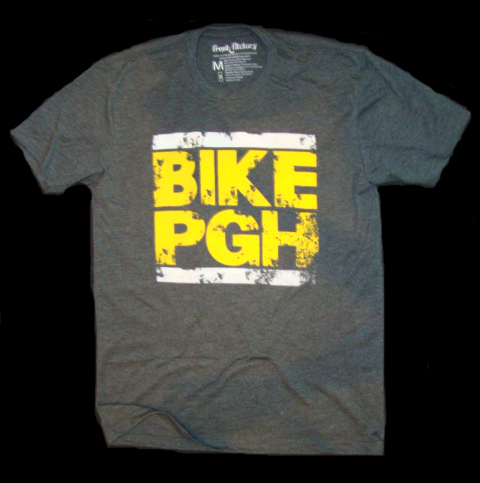 There is no shortage of awesome Pittsburgh shirts these days (but I still miss WearPittsburgh). Another local company with Pittsburgh-themed shirts is Fresh Factory who have generously agreed to give away a free shirt to two lucky winners. They have lots of other non-Burgh shirts too. 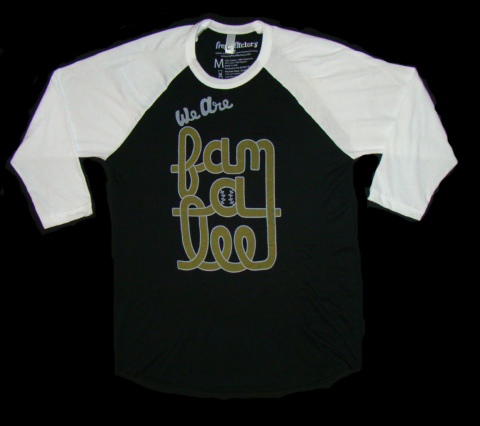 What: Two winners may choose any one shirt from Fresh Factory in any style or size. When: You have until Wednesday at noon to enter, at which time Random.org will select the two winning comment numbers. How: Just leave a comment! One comment per valid email address and you know the whole shebang about if your comment goes to spam yadda yadda freak out no don’t I’ll pull it out for you take a chill pill and shoot some tequila. So you have something to say, tell me what is the oldest piece of clothing you own and STILL WEAR. Don’t tell me about that skirt from when you were a teenager that SOMEDAY you’re going to fit in again. Me? Gotta be my college tennis t-shirts from mumble mumble years ago. They’re getting a TEENY bit worn out. Come Wednesday, I’ll be giving away your choice of a Pittsburgh fine photography print and then on Friday, History Center tickets are up for grabs. I have an old boyfriend’s T-shirt-(20 years ago old) that was old when I acquired it. It’s so soft and comfy-I can’t give it up. I have a flannel Penn State pj shirt that my mom bought at Big Lots when I was a kid. I wore it through high school and after I graduated from Penn State had a new found respect for it. I still sleep in it sometimes. I think my oldest piece of clothing is this pair of red and black striped drawstring pajama pants that I bought from an Army Navy surplus store in college. I wore them ALL THE TIME, including to class and out and about. I knew they were awful, but I didn’t care because they were so, so comfortable, and I thought they were cute. I still wear them around the house, even though the waistband is worn through in several spots, and it won’t be long before the drawstring has nothing to support anymore. As an aside, I always wore these pants when I was working on a paper in college, paired with a white t-shirt with an ENORMOUS Elvis head on the front. Everyone in my dorm knew it was my paper-writing outfit because I would wear it until the paper was done, even if it was days on end. Sadly, the t-shirt was worn and washed so much that it was eventually so thin, it was more the idea of a shirt than an actual shirt. I have all my ’79-80’s concert tees like the Rolling Stones,Van Halen, Bruce Springsteen, Journey, Heart, Rush and many more, that my kids now wear. I put them all away and kept them nice and wow, was I ever tiny back then! 1994, softball t-shirt from 4th grade! I wear it to the gym. I have an old fraternity shirt with the sleeves long ago cut-off that I still throw on once in a while to cut grass, go to gym etc. Can’t get rid of it! It has a Stone Cold Steve Austin reference on it (when he was young) which tells you how old it is…! Probably my old Steeler Shorts I sport on random nights before bed. Paint-stained, shrunk, but Still holding strong…. My pink and black high-top converse neakers. And yes, I am way too old to be wearing them. My W&J freshmen orientation t-shirt – from fall 1990. 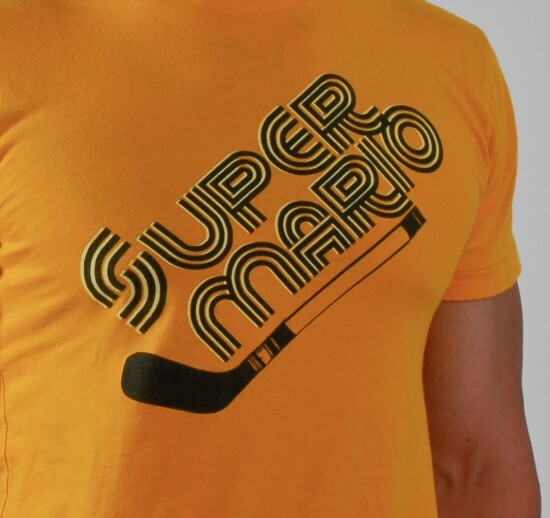 I really want a Super Mario shirt! I have tee shirts that date back to my Freshman year in college…1992..
No joke, my oldest garment that I wear is the sweatshirt I got my freshman year in high school. I remember the teacher who coordinated the sale telling my mom that I’d wear it forever. How true! I have a Berlin Brothers Elementary Band t-shirt that’s been in my closet for about 12 years (I’m 25). Funny..I didn’t even go to Berlin Brothers…nor was I in the band…it’s a shirt I got from Salvation Army. I recently saw my mother wearing one of my old tshirts from the seventh grade! Granted, it was just for painting in, but still. I’m shocked it hasn’t dry rotted by now. I have a polyester Pitt shirt that is just older than me – probably from 1980. It was either my mom’s or my dad’s sisters shirt from when they were students there(they were neighbors). Not me because I throw everything away but my husband has clothes that he still wears that have gone in an out of style several times and he’s only 43!!! The oldest shirt I still wear is the Hershey’s shirt I bought 11 years ago. It has a crappy load of tiny holes in it but it is the comfiest shirt ever! My husband’s family had an excavating business and they had these awesome baseball style t-shirts from the 70’s and they are still around! My daughter and I wear these red and blue shirts all the time- SO comfy! I have an old Steelers T shirt I got for my 21st birthday (15 years ago) that I still wear even though there are tiny holes along the seams. LOVE IT! A maternity tank top I got at Gabes for a quarter. I don’t have kids but I just love this tank top. Other than it being longer than most tops you would not even know it is maternity wear. Steelers training camp gym shorts that were my fathers when he was in college. I wear them all the time. I am not entirely convinced that he was ever small enough to fit into them. He went to college in the 70s but they are incredibly comfortable. I have a Levi’s jean jacket that I bought from The Gap in the 80’s when The Gap still sold Levi’s! The oldest thing I wear on a regular basis is the “class shirt” with everyone in my high school graduating class’s signatures on it. Perfect sleeping shirt! Sorry, too large to wear any of my old clothes. I still have some of my old belts, and the ends can barely wave hi to each other when I recently made my ‘old waist’ ‘new waist’ comparison. I still blame my kids! I have a shirt my brother got me when he was in the Marines with the name of the ship on which he served at the time . . . in 1995. One of my most beloved and most comfortable shirts ever. I still wear it, though now as a sleep shirt, since it is getting thin. The oldest thing I can think of is a Garth Brooks t-shirt from a concert about 12 years ago. It’s gotta be a 1979 Pirates shirt my grandma gave to me. Mind you, I was born in 1980 so it’s older than me. That’s an easy question. It’s my Oakland Athletics hat that my parents got me in 3rd grade. It has permanent stains from my 1980’s hair bear days. This year my hat celebrated it’s 25th birthday! The oldest thing I still wear is one of my AGD sorority tee shirts from 1992. It was the one with the grateful dead dancing bears. I have a 1989 Pittsburgh Pirates t-shirt that I still wear to games. That shirt saw Three Rivers Stadium when I wore it as a kid! It’s a little worn in spots but still wearable. And awesome. Free t-shirt from the Washington State Cultural Fair from 8th Grade. I am pretty sure it only lasted this long because I didn’t start wearing it right away. Goes perfectly with all types of sweat pants and p.j. pants.